A trip to Lakshadweep islands had been on our mind for more than a year. But there was very little information available online for planning and we had learned that a permit was required to visit the Lakshadweep, getting which was a herculean task. Also, the galore of websites which claimed package trips to Lakshadweep finally landed us to the website run by the government organization- Society for Promotion of Nature Tourism and Sports, also called as SPORTS, which only put us into more ambiguity. The website was very badly maintained. The SPORTS had a few cruise trips covering a couple of islands of Lakshadweep . The package was such that the Ship would depart from Kochi/Mangalore and approach the islands after a journey of 18 hrs and get anchored about a few kilometers from the islands. The tourists would then be taken to one of the islands in boats for a visit . They could spend time on the island till evening and they would be ferried back to the ship before the sunset. The ship would then sail to the next island during the night and the same itinerary would continue for the rest of the days covering two other islands. Most of the seats available in the cruise trips were booked for the months of December and January which was considered to be the best season. We almost gave up the idea of visiting Lakshadweep for lack of assistance in planning and booking the trip. So we made an impromptu decision to visit the Devbagh Island. We were enjoying our stay at the Devbagh and as luck would have it, we met Mr. Satyanarayana who was working at the Devbagh resort. It turned out that he was a retired diving instructor from Lakshadweep. He rekindled our desire to visit the Lakshadweep as he shared with us contact details of his friends from Lakshadweep who would help us plan our trip. After coming back from a relaxing stay in the resort at Devbagh, the first thing we did was to contact the guy in Lakshadweep. hard luck struck again when we realized that the contact number he shared was not in use. After a couple of phone calls to Mr. Sathyanarayan, we realized that even he was not able to contact his friend and since it was quite a lot of time since he returned from Lakshadweep, he was not sure if any of his old friends still stayed at Lakshadweep. The setback, however, did not dither our zeal this time. 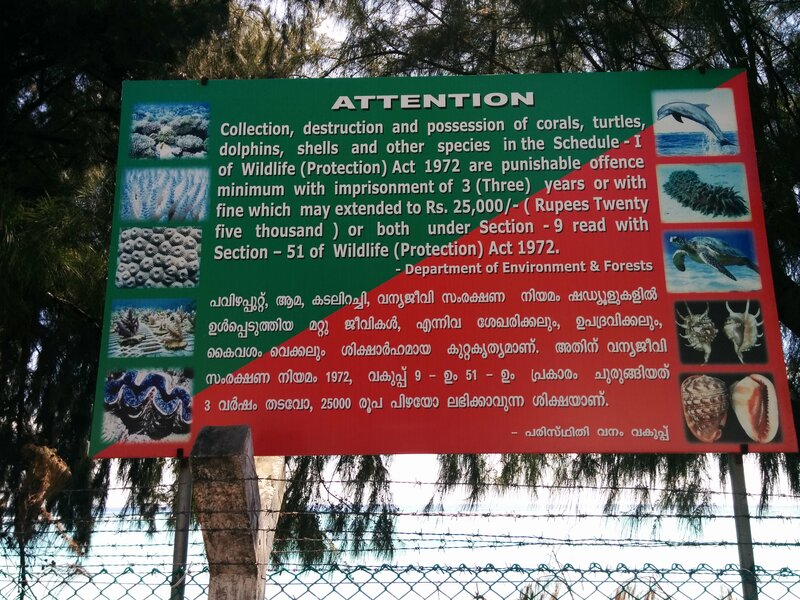 We were determined to visit the Lakshadweep – come what may. The narrations and stories that Sathyanarayan had told about his life at Lakshadweep had made us more determined. Since we had the whole year at your disposal, we started planning for the trip much earlier. the dates were fixed- we chose the end of October which was the holiday season. We chose dates around the full moon so that we could see nesting turtles during the full moon nights. We also wanted to witness the phytoplankton activity which is usually seen during the nights. To know if we really experienced all this during our stay, you will have to have more patience and wait for more articles to come. This post covers only the planning stage of our trip…. some of you might feel like suing me for prolonging this but trust me. You ‘ll love the future articles I am going to write!!! Cutting all the background and crap, let me come to the point. After reaching out to the SPORTS department multiple times with many questions and reading a lot of reviews and articles that were available in bits and packets online, I managed to get some decent information which would help in planning our vacation to Lakshadweep. About the Lakshadweep Islands: Lakshadweep means ‘a hundred thousand islands’ in Sanskrit. However, there are only 36 islands having a total area of 32 SQ km. It is the tiniest Union Territory of India with 12 atolls, 3 reefs, and 5 submerged banks. Ten Islands are inhabited. They are Agatti, Amini, Andrott, Bitra, Chetlat, Kadmat, Kalpeni, Kavaratti, Kiltan and Minicoy. Tourist islands in Lakshadweep: Tourists are allowed to visit only a few islands in Lakshadweep namely- Agatti, Kadmat, Kalpeni, Kavaratti, Minicoy, Bangaram, and Thinnakara. A permit is required to visit each of the islands. The islands of Agatti, Kadmat, Kavaratti, and Minicoy are inhabited whereas Bangaram and Thinnakara are uninhabited. Resorts with AC and NonAC standard and Deluxe suites are available in islands of Kadmat and Kavaratti. Islands of Bangaram and Thinnakara have non-AC tents only. Agatti has a few privately run resorts. SPORTS does not have any options for stay here. Since a permit issued by Sports is required to stay on any island, booking with private resorts always includes some risk. There have been instances where the booking was made with private resorts and the permit was not provided. So, it is wise to choose to stay on islands where SPORTS has set up accommodation. Visitors can choose the cruise packages where the overnight stay is provided on the ships and the visitors are ferried to the islands during the daytime. Below is the cost of accommodation on island resorts as on October 2015. Kadmat island has AC super deluxe rooms at Rs.11000, AC deluxe rooms at Rs.9000, AC standard rooms at Rs.7000 and non-AC rooms at 5000. The mentioned charges are for double occupancy including the 3 meals, tea/coffee and snacks per day. Kavaratti resort has air-conditioned suite rooms costing Rs.9000 per day for double occupancy , 3 meals,tea/coffee and snacks. Bangaram and Thinnakara islands only have non-AC tents. The stay for one night costs Rs.10,000 for double occupancy including 3 meals, tea/coffee and snacks per day. Agatti is the only airport in Lakshadweep. Air India operates a 42 seater ATR-42 plane from Monday to Saturday from Bangalore to Agatti with a stopover at Kochi. The journey takes about 3 hrs from Bangalore to Agatti . from Agatti, the other islands are connected by speed boat or helicopter. Visitors can choose to travel to Lakshadweep islands by ship. The availability of ship for travel depends on the weather and might cost approximately Rs.3500 from Kochi. Speedboats have fixed departure trips between Agatti and other islands. Speedboat operates from Agatti to Kadmat/Kavaratti and back only on Monday, Wednesday, and Friday. the visitors should choose the duration of stay based on the schedule of speed boats. A two-way journey from Agatti to Kadmat/Kavaratti costs Rs.8000 per head. The journey time may vary from 3 to 4 hours depending on the sea and weather condition. The speed boat is available on a daily basis to Thinnakara and Bangaram islands. The journey takes about 1 hr and costs Rs.5000 for a two-way trip. Helicopter transport is available from Agatti to Thinnakara/Bangaram on Monday, Tuesday or Wednesday. The two-way charges for the helicopter from Agatti to Bangaram/Thinnakara will cost Rs.7300. All other islands like Minicoy and Kalpeni have to be reached directly by Ship from Kochi. No transportation is available to Minicoy or Kalpeni from Agatti. Food: Very basic and tasty food is available at all the resorts. A typical meal for lunch /dinner will include roti/chapati + vegetable/pulses curry + rice + dal + one non- veg item (chicken/fish). You will be in great disappointment if you expect a lavish spread of buffet. Language: Jeseri is the dialect spoken in the Archipelago of Lakshadweep. It has some resemblances with Malayala with a hint of Tamil. Few people in the resorts in Kadmat and Kavaratti know English and Hindi. Climate and peak season: November to January is the best season to visit Lakshadweep. This season sees a huge tourist influx, mostly foreign tourists. The charges are also increased by 10-20 %. Tourists are advised to dress decently. Too much of skin show is not encouraged. Tourists are not allowed to carry corals – dead/alive or any shells back from the islands. Any attempt to carry corals might lead to punishment by law. Water Activities and Sports: Scuba diving, Snorkelling, swimming and beach trek are the best activities to try at the Lakshadweep islands. Apart from this, one can also try kayaking, canoeing, lagoon fishing, jet ski, speed boat ride, parasailing, banana boat ride etc. With all the above information at hand, we arrived at the below itinerary. All booking was made 3 months in advance. All reservation for inter-island transport and stay at different islands was booked through SPORTS. The SPORTS department arranges for pickup from airport and you will be dropped at the jetty. Tea will be provided at the SPORTS office en route. You will be ferried to Kadmat island by speed boat. The boat can accommodate up to 19 passengers. Packed lunch will be provided in the boat. The boat journey to Kadmat will take 3 to 4 hours depending on the wind and sea conditions. It might take a bit long if the sea is rough. You will reach Kadmat anytime between 4.00pm -5.00pm. A cool tender coconut awaits every visitor. This is a relief after the swaying and tiring journey. You will be shown to your cottages. You can enjoy the rest of the day at your leisure. The view of Sunset is very good from the west cost which is towards the jetty. This is the best time to swim in the sea as the sun sets. You can choose to walk along the seashore after it gets dark. Dinner from 8.00pm at the common dining hall. walk along the shore for as long as you want or retire to bed. Wake up at 6.00pm and go for a walk in the east cost. Enjoy the sunrise. tea will be served at 6.30am at the dining hall. Contact helpdesk at 9.00am and arrange for diving. You will be briefed by the diving instructors for about 30mins and some forms need to be signed . Off to the dive site by boat. The diving takes around 30mins. One can do one or two dives per day. Back to the island for lunch. After lunch , proceed to snorkel in a glass bottom boat. It takes around 1 hr to reach the snorkeling site. The Snorkeling trip lasts for about 45mins . Back to the island by evening. You can choose to swim in the island, do canoeing or kayaking. Else, you can take bicycles for rent and ride along the village of Kadmat. There are a coir and coconut powder factory inside the village. Dinner is arranged on the beach. After dinner, you can choose to walk along the shore and watch the crabs play on the beach. Packed breakfast is provided on the boat. The journey takes around 3 hours. Arrive at Bangaram island . Those who have made a booking at Thinnakara will be ferried in a separate boat from Bangaram. Check into the rooms and take rest. Have lunch at around 1.00pm. Go for swimming in the lagoons as the tide gets low. 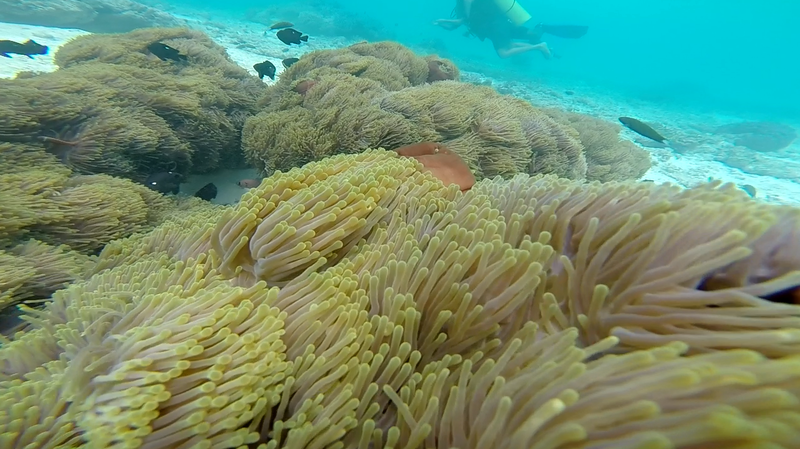 You can go for snorkeling in the coral gardens between Thinnakara and Bangaram. Have dinner and play on the beach. Retire to sleep in the shacks. Wake up before sunrise and go around the island to the east cost. Witness the most beautiful sunrise you would have ever seen in life. Back to shacks by 7.30am. Freshen Up and have breakfast. Depart to Bangaram island by boat at 9.00am. Depart to Agatti island by speed boat 10.00am. That was our itinerary during the visit to the coral paradise of Lakshadweep. The swaying palms, shallow lagoons, blue waters, corals, mesmerizing sea life, the gorgeous sunset, and sunrise- all of these have left a long lasting impression on me and I definitely wish to get back to the coral paradise soon. The next time I visit Lakshadweep, I also wish to complete my PADI certification for Scuba. I would love to let you know a lot more details about our stay in Lakshadweep. Stay tuned to read a detailed testimony about each of the islands we stayed in. 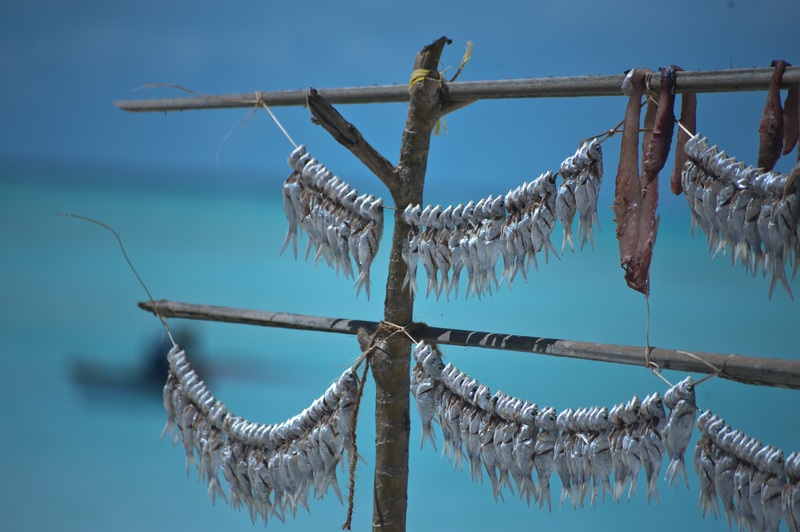 Meanwhile, check the awesome pictures we captured during our stay in Lakshadweep. If you are still not sure if you should visit Lakshadweep, read 10 reasons on why you must add Lakshadweep to your bucket list. Awesome location and very informative post. Thank you for all the details you have provided.. This is definitely going to be my next holiday in India. I’m really glad you find the post informative. There is not much difference between stay at Thinnakara and Bangaram. Both the islands share the same lagoon. However, the view of sunrise is very good from Thinnakara island. I would not suggest staying for 3 nights in Thinnakara/Bangaram for the below reasons: 1. The cost of accommodation is very high. No AC is available which might cause some level of discomfort during the hot months. 2. The diving and snorkelling instructors at Kadmat are better compared to Thinnakara/Bangaram. Also, the coral gardens better at Kadmat. Do let me know if you need any more info. Hi Nirav. My suggestion- contact the SPORTS organization for all your bookings. They are the sole authority for providing a permit to Lakshadweep. You ll get all details about booking in the blog. I wants to stay 4/5 nights on coming Oct 2018. Please let me know in which island I should stay how many nights? How many Island I should visit? Just what i needed. thanks ! Thanks for the good information. Sir, As a collage student, If i want to go to Kavaratti with my friends. How much amount one adult has to keep for this tour? Hi Karthik. We are glad that you find the post informative. You don’t have to bother sorting out the permit as it is taken care by SPORTS when you make the booking. NO explicit request or payment is required to get permit. SPORTS has no packages which includes stay in multiple islands so we had to customize our itinerary. We would recommend you to go for a customized package than the readily available packages. Leh, Ladakh and Spiti are definitely on our list 🙂 – probably next year. Do keep in touch by following us on our FB page so that you get regular updates about our travelogues and itineraries. Can you please let me know your opinion about the tour packages provided in the sports website. also your overall expense per person . Hi Indu. We had taken a customized package for our trip. However, the available packages with SPORTS are also good but you cannot halt on the islands. The itinerary I have mentioned in the post cost us around 35k per head including airfare. Please get in touch with SPORTS. You can get the mail ID in their website we have shared in the post. Hi how long do they take to respond? We’re trying to book for the coming weekend and there is no answer by email or by call till now. Thanks! I really liked the detailed info about your trip. i hail from Darjeeling and am planning on staying at thinnakara at 20th september with my family. Is it a good time for making the trip? Is it safe for women? Please help. Hi Annie. thankyou. September end would still be hot because they are tropical islands. The best season would be after last week of October. And the islands are absolutely safe for women. Infact, we saw a lot of solo female travellers while we stayed in Thinnakara. One can fearlessly roam around the islands even during night. First off thank you for the in-depth review and first hand information. Its very hard to find actual first-hand info on visiting Lakshadweep and the the SPORTS website is truly a waste. I am planning to visit Lakshadweep during the first week of January’17 with my wife and 2 kids aged 6 & 3. Is Lakshadweep suitable for visiting with kids? Also I was looking at stay options and came across Kasim Homestay in Agatti. Any reviews on that? Is it better to stay at Agatti or Kadmat? Travelling with kids I am not looking too much at Island hopping and would rather stay in one location and enjoy the scenery so the quality of the resort carry top marks for me but if you any inputs otherwise I really look forward to them. Thanks for this. Hi Amit. Thankyou for your appreciation- it means a lot. I agree that the SPORTS website is very poorly maintained. Infact, it took us more than 4 months to chalk out the itinerary and decide on the islands and accommodation. Coming to your queries- January is the best season to visit Lakshadweep but bear in mind that it is the peak season ( with a lot of foreign tourists visiting) and the costs will be increased by upto 20%. Also, you will have to reserve flight tickets and the hotels as early as possible. Lakshadweep is absolutely safe for kids. Our 3 year old son enjoyed the most when we were there and even now he fondly remembers the time he spent there. Between Agatti and Kadmat, I would definitely choose Kadmat because the resort is very well maintained and the lagoons have the best coral gardens. Moreover, the speedboat ride to Kadmat from Agatti is an experience in itself. We had enquired with the Khasim’s as well during our planning but finally choose Kadmat because of the mixed reviews about the Khasim’s homestay. Let me know if you need anymore help. Wonderful post.. This can be a perfect guide for the people who are interested in planning for Lakshadweep trip.. amazing photos.. thanks for sharing.. I have some query …if u could help me out…. 2 secondly …as u mentioned travel exp is around 35000… Is there any other cost savy accomdation available on lakshdeep . do we need to pay for 5 yrs kid accomdation also. 3 if thikara island accomdation is costly …can we go for day time and back in night ? 4 me and my husband don’t know the swimming. ..can we still able to do scooba diving. Can our 5 yrs daughter can do scooba diving ? Hi Ruju. Thankyou. I am glad this post helped you. I haven’t visited Andaman yet. So, I can’t actually say if Lakshadweep is better than Andaman. Our trip cost us 35k because we choose to stay on the islands. Accommodation in Kadmat is cheap compared to Thinnakara/Bangaram. Get in touch with SPORTS for more details. Accommodation is free for kids below 5 years. You can do scuba diving even if you do not know swimming. The instructors will accompany you. Minimum age for scuba diving is around 8 years so your 5 year old daughter cannot do it. Finally, an informative post. 🙂 Thank you, thank you! I will be travelling alone to Lakshadweep (am a Singaporean) in mid December. Was thinking of a 3 days 2 nights trip. One night in Kadmat (standard AC) and another at either Bangaram or Thinnakara (tent non AC accomodation). Perhaps you could provide some contacts so I can source for said customized package. Trying to keep my budget under 35K as well 🙂 I like that Kadmat is inhabited so I can acquainted with the locals and experience the local surroundings, at the same time appreciating the quietness of Bangaram/Thinnakara. Hi Sha, Thank you. We are glad you find our article informative. All bookings for Kadmat and Thinnakara/Bangaram have to be done through SPORTS. Please check their website for contact details. December is peak season and the tariffs are generally hiked upto 20%. You better start making your bookings right now. Also, it is not possible to stay in Kadmat for only one night. The speed boats connecting Kadmat to other islands are scheduled once in 3 days. So, you may have to stay for 2 nights at Kadmat. Thanks a lot you for the great review and first hand information. Its very hard to find actual info for visiting Lakshadweep with the SPORTS website. Loved the pics too. We are planning to visit Lakshadweep during the last week of October. Can you please let us know how can we plan this and how to contact SPORTS ppl to customize like what they have done if for you people. Looking for for your reply. Thank you in advance. Thanks a lot !!. I am still in a fix to decide between Kadmat and Kavaratti. And what were the type of rooms that you booked in Kadmat. Sorry to be bugging you with all these questions. Hi Ashwini. I cant comment on Kavaratti because we did not stay there. At Kadmat, we chose the standard AC room. I appreciate your effort in Providing insightful replies to all the questions on this forum. As you, I’m too from Bengaluru and I am planning to bring in my first year marriage anniversary in Lakshadweep in November. I want to spend a quite 3N- 4D with privacy and turquoise waters to swim . My wife wants to do Scuba .Your itinerary looks apt to me. Would you suggest me to follow the same by visiting Kadamat and Bangaram or would you suggest something else. Hi , is passport needed to visit Lakshwadeep though I am an Indian? You do not need a passport to visit Lakshadweep as it is very much a part of India. Can u pls tell me the cost/timeline and process of getting permit for lakshadweep.Do we require different permit for each island? Hi Richa. Yes, you need a permit for each island. All details are available in the post. Please go through it. There are few questions in my mind, please answer if possible. Q1.) Didn’t you try looking for Dak Bungalows and government run rest houses because they are very cheap? Q2.) I am not a package-type traveller, I’m more of an independent one who explore things on the go or we call ot backpacker, so what do you think is Lakshadweep a place for someone like me? Q3.) Travelling between islands is very expensive, I am sure islanders/locals don’t travel at that price, did you try looking out for a cheaper option? Thanks much for your appreciation. Finding information for about Lakshadweep is indeed very tough. We are glad this post is being of help. 1. We could not find any govt run guesthouses on any of the islands we visited. Agatti has no govt approved accommodation except for a few privately run resorts and homestays. But then , they are as expensive as the accommodation we tried on other islands. Again, getting permit may be tricky. 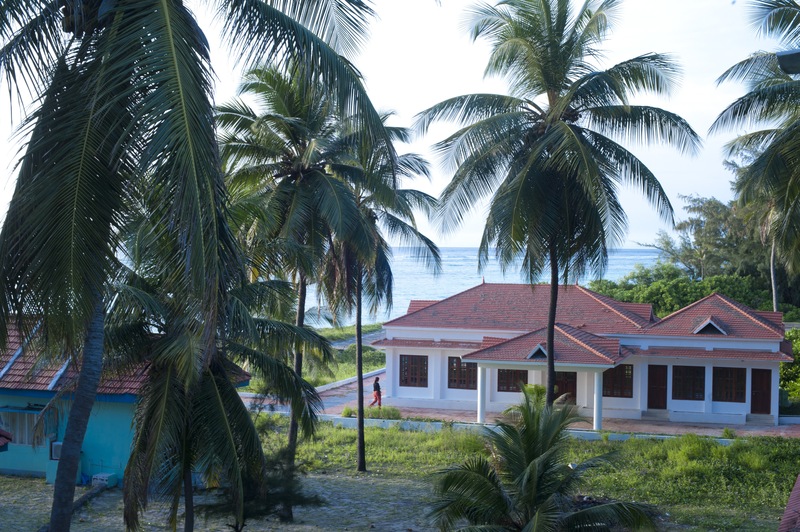 I have heard from a friend that Kavaratti and Minicoy have some naval guesthouses but not all are welcome there. 2. We too love to plan our own itinerary and do not prefer ready packages. But the case is different for Lakshadweep. Forget to roam around Lakshadweep freely because every visit to any island needs a separate permit for which you should apply well in advance at SPORTS including details such as duration of stay and accommodation. 3. Locals do have cheaper means of transportation. But tourists cannot avail them because of the permit requirement. If you have a local contact, you might try staying in their home and roam around like a local with them. But we can’t assure you that you will get a permit. the only assured way to get a permit to Lakshadweep is through SPORTS. Though the private homestays assure you to get a permit, there is no guarantee till you get the permit in hand. 1) Where should one chose to stay Bangaram or Thinnakara? Both are close by but still need help in deciding. 2) You have seen Kadmat, Bangaram and Thinnakara. Which one did you find the best? From pictures I am finding Kadmat to be bit commercialized. Should one split stay between these 3 islands? 3) Did you get a chance to see photoluminescence on the beach? 1. Though Bangaram and Thinnakara share the same lagoons, we personally liked Thinnakara because it has a better view of the sun rise and it also has a small lighthouse. Costwise, both the islands are the same. Also, Thinnkara is a smaller island compared to Bangaram. So, you can go around the island in around 2 hrs. 2. 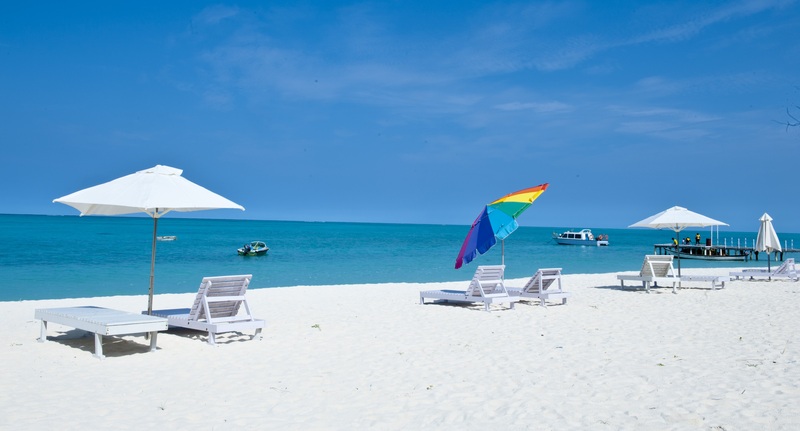 Kadmat has better facilities compared to the other two islands and the water sports are comparatively better at Kadmat than at Bangaram or Thinnakara. The cost of accommodation is also cheap on Kadmat compared to the others. I would suggest choosing Kadmat for 2 nights and one of the other islands for the remaining duration of your trip. 3. We could not see the photoluminescence on the beach !! However, there are a lot of turtles in the lagoons of Bangaram and Thinnakara. Hi Mital, Thankyou. We are glad you find this post helpful. We had to make 50% payment at the time of booking which was 3 months before our travel date and teh full payment had to be made 1 week before the vacation. So, full payment has to be made before you go on your trip. Since SPORTS is a govt run organization, you can trust them with your payments. I m sure you ll love your vacation. Hi Susan! Kadmat is a good bet for your requirements. 1. Which month did you visit? 2. For speed boats between islands (like from Kadmat to Bangaram during your stay) do we have to book in advance as well? No on spot booking? 3. What was cost of boat ride between Kadmat and Bangaram? Hey Francesco, if you want to directly walk into the reef, you should try the Bangaram and Thinnakara islands. However, the reefs near the Kadmat island are way better but you need to take a short ferry to reach the snorkel sites. I am planning to visit Kadmat and Thinnakara islands in the month of March. We are planning to arrive in Agatti on a Saturday by flight and go on to Thinnakara straight from there. Stay two nights in Thinnakara and then catch a vessel on Monday from Thinnakara to Kadmat. Stay 2 nights in Kadmat and return to Agatti on Wednesday morning to catch 11:55Am Air India flight. Is it feasible at all? Please let me know if you have any suggestions. I am not very sure about mode of transport between islands and its timing. Is the timing mentioned anywhere on SPORTS site? Hi Anu. Your plan seems quite feasible. However, write to the SPORTS to know the exact schedule of the speed boats between islands. The schedules are prone to change. We are planning to visit these islands in the month of June. Is this month good to visit? In our plan , we have a 2 year old kid and 4 grans parents (50+) and a couple 25+. Do this place enjoyable to this audience? monsoons. July is quite hot in Lakshadweep. Lakshadweep will captivate everyones soul irrespective of their age. I have a question about customized bookings. The SPORTS website how do I make bookings for an island stay when that is not part of any offered package? For example I have a 3 night tour. Suppose on first night I stay at A, second night at B and the last night at C. The sports website has listed charges for the accommodation at the islands but how do I go about the booking? For all customized bookings, you should mail them directly on laksports.reservation@gmail.com. You can also call the number provided on the SPORTS website for more details. This is a fantastic writeup! I just have a couple of questions for you, and I’m sorry if you answered them and I didn’t see. I’m considering a trip to Lakshadweep the first two weeks of October 2017 (I realize it’s not the best time for weather, but please tell me if you think it’s a bad time). 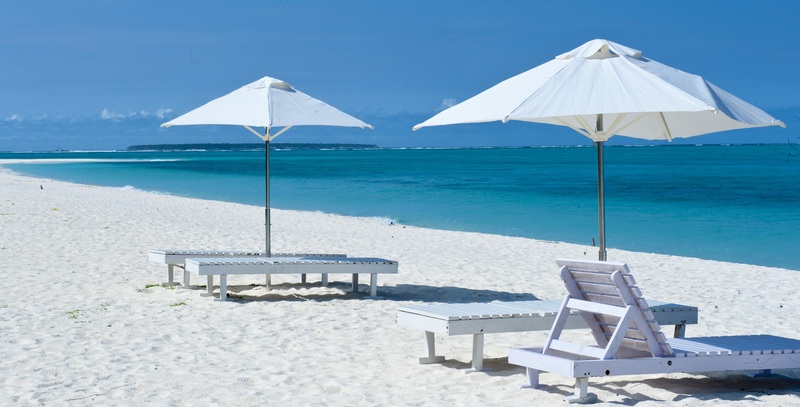 I’d like to spend a week to ten days relaxing in Lakshadweep so I don’t know that a SPORTS tour is the right idea (I’d like to snorkel some, of course, but I want to spend a lot of time resting as I work a very stressful job). Can I work directly with the resorts you mentioned to arrange my stay? Will the resorts help me with my permits? Lastly, I know that Lakshadweep is Muslim… do they frown on men wearing bathing suits at the beach? Thank you! “We chose dates around the full moon so that we could see nesting turtles during the full moon nights. We also wanted to witness the phytoplankton activity which is usually seen during the nights. To know if we really experienced all this during our stay, you will have to have more patience and wait for more articles to come” – I am really eager to know whether you did actually witness all of this. I searched for the answer in other two articles of Lakshadweep but cudnt find any. Please do reply. Hi Srijita. We weren’t lucky enough to catch the phytoplankton activity nor did we see any nesting turtles. But we were lucky to swim with a few turtles during our stay at Thinnakara. I later read that the phytoplankton activity is more seen near the Minicoy island. Thanks for a nice write up! I have few questions . We few ladies planning for a Lakshadweep trip . While I was researching on it found out about a ship taking passengers to the island n tourist will be staying in the ship at night time and exploring the island at day time . This is a samudram package of 4 nights/5 days . This package includes visiting three islands kalpeni, kadmat and minicoy . But it operates post sept until may I guess . .1) I want to know if ship package is worth or visiting by plane is better idea. 3) which islands are worth visiting. Hi Mausumi, Thank you for dropping by. I m glad you find the post useful. Lakshadweep is safe however you explore it. Both Samudra package and customized packages are good and you can choose the package based on your liking and availability. We chose the customized package to stay on islands because we wanted to experience it. And we also plan to go back to Lakshadweep to experience the cruise. One noticeable difference between both the packages is the journey time. It takes about 18 hrs to reach the nearest island by Ship. July/Aug would be rainy season and I doubt if the resorts operate. Also, you will not be able to venture out into the sea for any activities. All islands are equally good to visit and you can enjoy water sports in all islands. I have requested the price for the itenery you had with SPORTS. Now they got back to me with prices for the rooms and transfer to different islands. In your itinerary you have described about snorkeling and diving, glass bottom boats etc, did you book them extra or is it included? Another question, did you try to negotiate on the prices? if yes, did it work? Did you compare the price direct at SPORTS with some authorized agency? Hi Ankit. We contacted SPORTS through the official contact details mentioned on their website. Since it is a govt like organization, they probably have fixed working hours. Try calling the landline numbers mentioned in their contact form between 10.00 am and 5.00 pm, and avoid calling during lunch hours. Thanks for such a detailed write-up. SPORT website is too ambiguous to plan an itinerary. I am planning a trip to Lakshadweep in mid-January next year. 1. Did you do the booking for different islands based on SPORT packages or was it a customized one? 2. Do you need to make separate booking for inter-islands transport or is it included once resort booking is done? 3. Also, do you have to do separate booking for water sports or scuba-diving or it can be done on site? Hi Aditi. Our package was a customized one. The inter-island transportation costs extra. The total cost of the customized package will include transportation + accommodation + food which should be paid in advance to SPORTS by online transfer. For all water sports, you can directly book with the centers on the islands you visit. Prior booking is not needed for water activities. Your article is really helpful ! My husband and I are planning a trip to lakshadweep for certificate scuba course. Which island would be the best to go for this course ? Is november end will be suitable month? Hi Shipra. Both Kadmat and Bangaram have scuba diving centers which help in certification. But Kadmat is more economical for stay and the diving locations are more beautiful. November should be a good time for diving. Thank you for this amazing write-up. It’s 2018 and still the best guide that I found ! You mentioned that you intend to complete PADI on your next trip. Was it easy to schedule the first divers course in your sports package? Will we have to cancel some items on sports package ? Any suggestions on this ? Does sports have a tie up with PADI ? rather check the latest packages they have for more info. The diving schools will help you get certified as they have tie-ups. You may need about a week to get the certification. 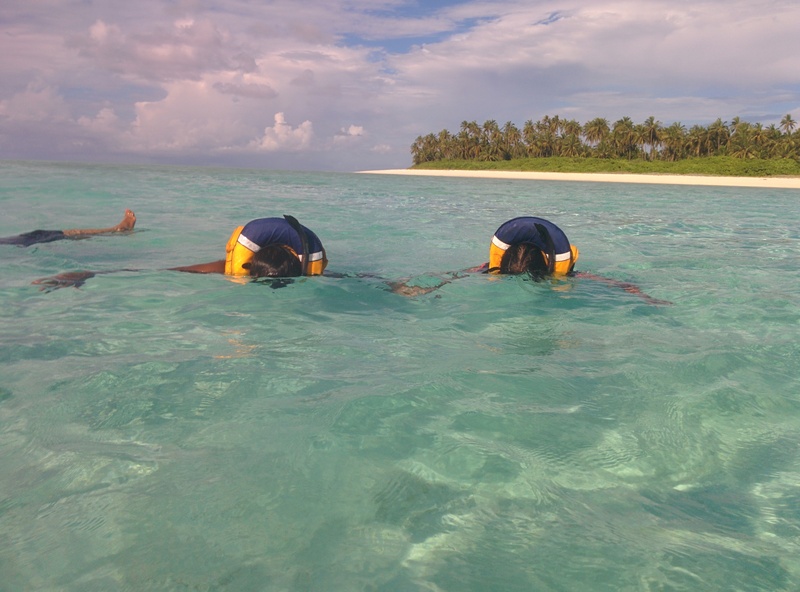 This is a great post about tripping in Lakshadweep and very good details. We are planning to go there in May next year. What are your opinions about the weather there? In what month did you travelled. Please let us know about the weather there. Suchandra, May will be very hot in Lakshadweep. It would be ideal to schedule your trip between October and March. 1. If i go via flight,l then I would travel these places as you have mentioned!!! But is there any other travel plan to lakshadeep via flight?? 2. Though the question is off the beat, but still wanna ask that which mobile network is available in these islands? Is mobile internet or internet cafes are available there? This your blog should be on top of google search if anyone searches for lakshadweep. Amazing writeup and really appreciate your detailed responses. in April visiting Thinalarra, Bangaram and Kavaratti. I have booked a package through SPORTS. It was a really cumbersome experience getting information(although they replied to all of my mails within 48hrs). Wish I had found your blog earlier. Once again congrats for such a great blog. Thanks much Vivek. I m glad the blog was of help. I wish you an amazing time at Lakshadweep. You have mentioned the cost of speed boat as Rs.5000 for a two-way trip between Thinnakara and Bangaram islands. Is it per person? And do we have too book for speed boats in advance? Im planning for a 4 day vacation to Lakshadweep in april 3rd week. Need advise on travel plan for 2 adults & 2 kids.